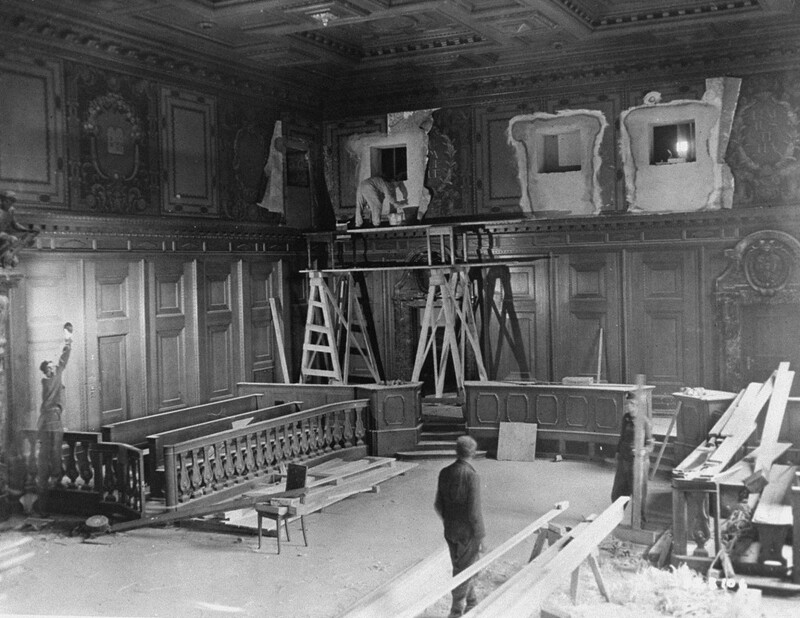 Repairs and improvements are made to the courtroom where the International Military Tribunal trial of war criminals would be held. The holes in the walls at the top (when completed) housed radio commentators and public address operators. September 11, 1945.